Howie Rodenstein, based in Boston, served for the past 15 years as CFO of Adheris Inc. a pharmaceutical information services company that he grew from a start-up to its sale for $100 million to inVentiv Health. He earned an MBA with Distinction (Baker Scholar) from Harvard Business School and a BA in Economics from Brandeis University. Howie founded and still chairs an annual charity bike ride that has attracted over a thousand riders and raised over $2.5 million for environmental NGO’s over the past nine years. 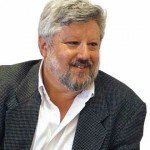 Josef Abramowitz, an Impact Investor and green energy activist, is recognized as one of the pioneers of the solar industries in Africa and other frontier markets. Named by CNN as one of the top six global “Green Pioneers,” and by PV Tech as “one of the most inspiring solar CEOs” worldwide, Abramowitz has developed over $1 billion in solar pipelines and has been nominated for the Nobel Peace Prize. 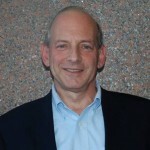 Abramowitz serves as CEO of Gigawatt Global, an impact investment platform that provides healthy returns to investors while advancing the environmental and humanitarian goals of providing affordable green power to underserved populations. Gigawatt Global is a founding partner of the White House Power Africa initiative and was the first company to interconnect a commercial scale solar field under President Obama’s program. Abramowitz recently served in Paris as a delegate to the Climate Conference negotiations, is co-founder with Ilan Goldstein of Gigawatt Global Wind, and his life's work was featured on an episode of CNN’s The Next List with Dr. Sanjay Gupta. Aryeh is responsible for strategic planning, institutional investment and corporate communications. 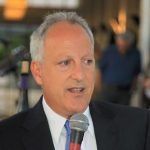 He has over three decades of experience working as a business consultant and executive for many publicly-traded companies, including AudioCodes, ECI Telecom, Pfizer, Aladdin and MotoGuzzi, as well as various non-profits and NGOs. He holds masters degrees in business and international relations, and is an expert in Middle Eastern affairs and media issues. 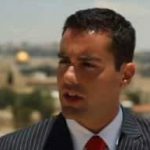 Aryeh is a well-known international speaker and has been a leading advocate and activist for freedom and democracy for two decades. Dr. Klein in an energy expert. She has developed gas turbines with ABB in Switzerland and worked with Nuclear Safety for Vattenfall power company in Sweden and designing concentrated solar systems with Aora Solar. 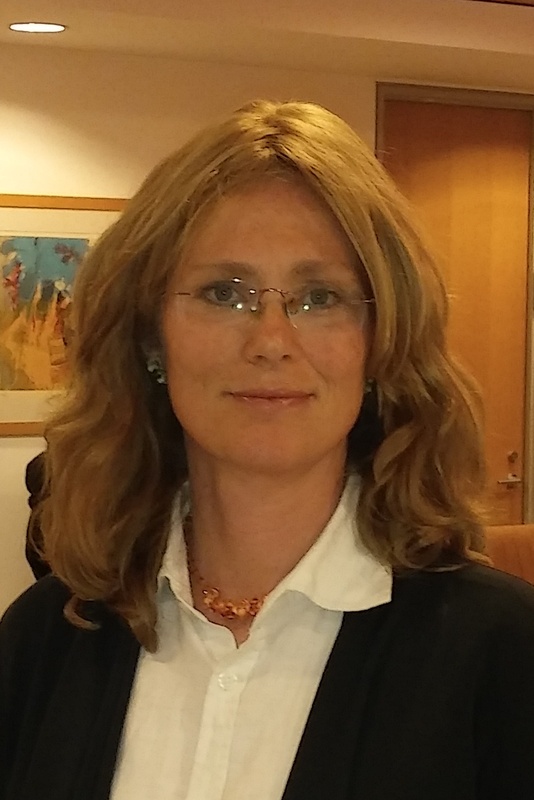 She has developed her own patents in concentrated solar technologies (as EZKlein) and has been active as an evaluator for the European Commission for grants regarding energy and environmental Science. She built up her business experience working as a business consultant for Arthur Andersen out of Amsterdam. She holds a MSc in Energy Systems from the Royal Institute of Technology in Stockholm and a PhD in solar energy from the Weizmann Institute of Science. 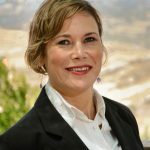 Chana acts as General Counsel for Gigawatt Global. Chana is a project finance lawyer specializing in the renewable energy sector in Africa, with experience in Zambia, Tanzania, Rwanda, Benin, Burundi, Togo, Ghana, Egypt, Jordan, South Sudan and Nigeria. Previously employed at Slaughter and May, London and Herzog Fox, Tel Aviv. Visiting lawyer at leading Nigerian law firm Aluwko & Oyedobe, Lagos. Chana has published in the Renewable Energy Law & Policy journal and received her degree from King's College London. 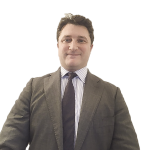 Michael handles finance for both corporate and project finance needs. Michael has been on the front lines of financing a wide range of solar initiatives since 2011, most notably raising the debt and equity for 100 MW of solar PV in the Middle East. He started his professional career as an entrepreneur in the construction materials business in NYC, where he founded and operated his company in custom materials servicing high-rise buildings in Manhattan. 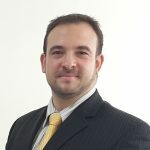 Deciding to move into the clean technology sector, Michael worked at an insurance company at their renewable energy desk where he dealt with private wealth management, clean technology start-ups, and acquisition/sale of operating solar fields. Michael holds degrees in Finance and Information Technology, and an Executive MBA at Northwestern’s Kellogg School of Management. Mandy Efrati, CPA, began her career at Ernst & Young in New York City in 2008. After four years of working in the real estate department, her focus shifted towards working with start-ups and high tech companies. 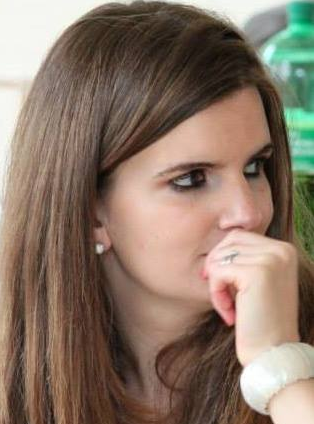 Mandy then started working for KPMG where she continued to service start-ups, including Gigawatt Global. She officially joined the Gigawatt Global team in May of 2015. Mandy holds a Bachelors in Economics from the University of Maryland, and a Masters in Accountancy from the University of Notre Dame. Joel serves as the Managing Director of Nigeria Solar Capital Partners, a special purpose vehicle for our projects in Nigeria. During his time in Nigeria, Joel has worked closely with all of the country’s key constituents, including the NBET, NERC, TCN, and Ministry of Environment. 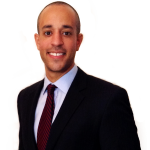 Joel has established links to development banks and financing institutions and specializes in development finance. Joel is a founding partner of Ibex Capital Partners and has had significant experience working and living in West and Central Africa. Prior to founding Ibex Capital Partners, Joel headed the fixed income research team for Sub Saharan Africa at Bloomberg and went on to work at Western Asset Management, as a portfolio analyst on the global fixed income desk that managed $60 billion in sovereign debt. Joel holds a BA (with honors) in History from University College London. Gershon is the founder of the Israel/Palestine Center for Research and Information (IPCRI) - a joint Israeli-Palestinian public policy think and “do”-tank. He has been awarded the Histadrut Prize for Peace in 1996, the Turkish Foreign Policy Institute Peace Prize in 2004, the Tribute of Honor and Courage from the World Movement for Democracy in 2004 and the Search for Common Ground Journalist Award for Middle East Journalism in 2005 and 2007 as well as the Ordine Della Stella Della Solidarieta Italiana. He holds a Ph.D. in International Affairs from University of Greenwich. Eran has gained vast experience in engineering management and the coordination of project development. His focus is site identification, geographical constraints, radiation parameters, energy production assessment, design and layout yield optimization and controlling of engineering data flow. Eran oversees land surveying & geotechnical parties preparing the engineering detail for the construction of medium and large scale PV projects and manages EPC & subcontractors during project construction and operational stages. He honed his skills through five years on the engineering team at leading solar companies and holds a practical engineering degree in architecture and various certifications in Green Studies. Eli acts as a project manager for a number of projects in Africa. He specializes in tenders, terms of reference, RFP's selection and land identification. He is especially involved in the Environmental and Social Impact Studies (ESIA) where he is the expert on IFC regulations. He has been intimately involve with solar PV projects for a number of years and is the lead liaison for Ethiopia. Eli holds a BA in Business Administration from Machon Lev Collage of Technology in Jerusalem. Akiva is a financial analyst for Gigawatt Global. His keen insights and financial modeling expertise are invaluable for the company. 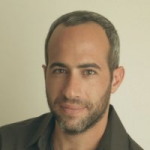 Prior to joining the renewable energy industry, Akiva worked as a Financial Analyst at a boutique consulting firm in Los Angeles that provides financial and strategic advisory services to large independent film and TV companies in Hollywood. 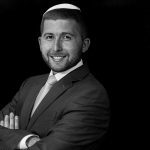 Akiva has a BA in Business Administration and Finance from IDC Herzliya. Patrick is a project developer for Central Africa. 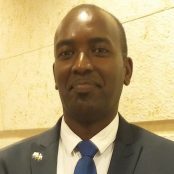 He began his career working in East Africa leading projects for various international companies and NGOs, including Egis international, Doctors without Borders Netherlands, Action Contre la Faim France and Tevel B'tzedek. With a deep knowledge of the language, culture and business practices of region, Patrick holds a Bachelors of Business Law from Lake Tanganyika University in Burundi. Shoshi has over 20 years of experience working in businesses and nonprofit organizations as solo book keeper. She has also been successfully running her own business teaching teenagers and young adults about accounting and money management for a number of years. Ms. Harari holds a BA in Business Management from Touro College. 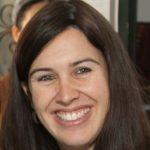 Nat Johnson is the Project Development Associate for Off-Grid Applications at Gigawatt Global. He is currently focused on developing off-grid electrification projects in Burundi, working with third-party contractors and international project financiers in order to facilitate these initiatives. Prior to working at Gigawatt Global, Nat worked at 1st Light Energy where he helped close over forty residential solar projects in New York City. Nat holds a bachelors degree in Geography from California State University. Remy leads project development in Liberia. He previously was the CEO of the Israel China Interflow Association, which helped foster relationships between Israeli and Chinese high-tech companies. 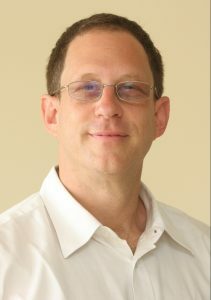 Remy studied business computer informational systems at the University of Colorado at Boulder and holds a BSc in Government, Diplomacy and Strategy from IDC, Herzliya. 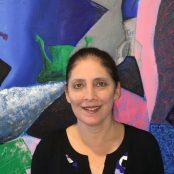 Jennifer brings over fifteen years of executive and corporate management experience as well as a BBA in Finance experience to her role as assistant to Josef Abramowitz. With her calm, no-nonsense approach, if it needs to get done, on-time and well, Jennifer is the go-to person. 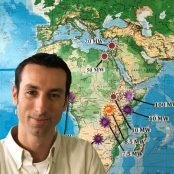 Chaim Motzen, Co-Founder of Gigawatt Global, led the successful development of the first utility-scale solar field in East Africa in record time, an 8.5 MW plant in Rwanda which reached full production in September 2014 and increased Rwanda's generation capacity by approximately 6%. 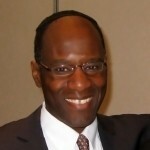 Chaim is a former consultant at McKinsey and Company, where he was awarded “The Marvin,” McKinsey’s highest award for non-partners, recognizing exceptional work in knowledge building. He received an MBA from Harvard Business School and an MPA from Harvard Kennedy School. Chaim is on the Board of Directors of the Gift of Life Bone Marrow Foundation, a world leader in facilitating bone marrow transplants for children and adults suffering from life-threatening diseases.